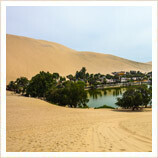 It may not match people’s image of the land of the Incas, but Huacachina is Peru’s very own desert oasis. Not far from the town of Ica, after travelling through the arid coastal desert of southern Peru, you arrive in the lush green that surrounds the lagoon and find the palm trees backed by the colossal sand dunes waiting to welcome you to this little piece of paradise. With a perfect year-round climate, this picturesque spot is an excellent place to break up the journey from Lima to Nazca or Arequipa and if you think you recognise it when you arrive, that might be because it is featured on the 50 soles note. It’s not simply a stop off point though but also somewhere with guaranteed sunshine, good hotels, dune-buggies, sandboarding and nearby wineries to visit so all in all a pretty good option for a couple of days rest and relaxation. Arguably the best hotel for holidays in Huacachina, the Mossone is on the shores of the lagoon itself and was built in the 1920s in the old colonial style, just oozing character. The pool is also perfect for kicking back and taking in the views. There are also a couple of good options just outside the oasis which have larger grounds, spa facilities and much larger pools, but we think if you're coming here then you really should be right at the oasis. While in Huacachina you just have to try out a dune buggy ride to appreciate the awesome views across the open desert. You can walk up the dunes but it’s a pretty hard-going slog to get high enough for the really stunning views. Most buggy rides leave around 4pm which is perfect for a bit of a ride up and down the dunes and maybe a touch of sandboarding before heading to one of the best viewpoints for the breathtaking sunset over the desert. 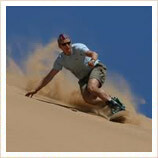 If you haven’t encountered sandboarding before, then it’s essentially the same as snowboarding except on sand! You can easily hire sandboards and there is plenty of space just around the lagoon to perfect your sand surfing technique. 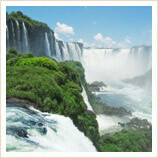 Ica is the main town in the area and not far from Huachachina, about 10mins in a taxi which only costs around 5 soles. It’s a pretty hot and dusty place as you would expect but is useful for banks and shops etc. Ica’s regional Museum is also one of the best in Peru and is about a 30 minute walk from the Plaza de Armas (or you can get your taxi from Huacachina to drop you off there). It focuses on the cultures of Nazca and Paracas and has an impressive collection of textiles (which are particularly well preserved due to the desert climate) and ceramics. If you are more interested in seeing how brain surgery was performed in the Stone Age, the trepanned skulls will be right up your street and the large number of mummies never fails to win people over. Ica and the surrounding region are home to the best wineries in Peru and several bodegas offer tours from Huacachina to see wine and the traditional Pisco brandy being made. 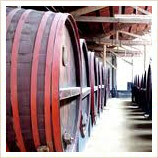 Probably the most well known bodega is the Vista Alegre, about a 4 soles taxi ride from Ica, which showcases some fascinating traditional wine-making techniques. The free samples aren’t to be sniffed at either – no pun intended. 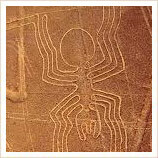 If you want to spend a bit longer in Huacachina and want to take a tour of the Nazca Lines but are limited with time you can now catch a flight over the Nazca Lines from the nearby city of Ica, so you don’t need to travel all the way to Nazca itself. 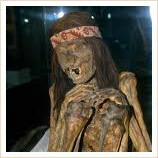 You can then pop back to Lima to continue your holiday in Peru. High-end comfortable coaches go to Ica from Lima twice a day and take around 5 hours down the Pan-American Highway. The beachside town of Paracas is a bit closer and coaches to or from here only take about 1.5 hours. 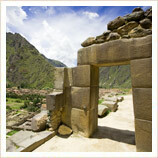 There are also daily coaches further south to Nazca which is about 2 hours away. Huacachina itself is effectively an outlying suburb of the city of Ica these days, and it’s only about twenty minutes from Ica’s coach station to the oasis. The oasis is really very small so you can walk from end to end in no time at all and check out the cafes, shops and restaurants on offer. Taxis into Ica are plentiful, cheap and friendly, so if you need more than Huacachina's limited array of facilities, this is quick and easy to do. Be warned that not much English will be spoken, however, so it's worth getting directions or addresses written down in Spanish by your hotel staff. What can we say about the desert – it’s hot! Temperatures might dip slightly in June and July but not much under 25 degrees, so make sure you remember your hat and sunscreen on any holiday in Huacachina! Because it's a small place, however, Huachachina actually feels a bit fresher than the city of Ica, and the heat is pleasantly dry and not at all humid. All our holidays in Peru are 100% tailormade, so if you'd like to customise any of the tours you see above, or just plan a trip completely from scratch then get in touch and let us know - we'll be delighted to help you plan your perfect holiday in Huacachina! The first vines anywhere in the New World were planted just outside of Huacachina, and today Ica's vineyards are the most important in Peru, producing wines and the national drink, Pisco brandy. It would be rude not to at least try some, right?